6 is good for Ladies and Gentlemen. And, if you're a lady, you get to officially insult your competition. Letters from Whitechapel is one Ill plug. Its a bit adversarial, you have 3 to 4 policemen trying to dragnet 1870ish London trying to find Jack the Ripper as he makes his kill the returns to his hideout. Jack wins if he evades them for 5 (6?) Kills, cops win if they corner Jack or find his hideout. Hidden knowledge game, where Jack writes down the number of the space he moved to. Cops have tokens on the board, but I recommend the cops write their moves down as well so you can do a post-mordem and see how certain chases went down. Board game group, I need your collective genius: help me pick a birthday gift for a gaming buddy. Target player count - six is ideal, but four is... okay, I guess. Game length - more than 30 minutes, less than two hours. RNG - minimal, hopefully outcomes aren't solely dependent on dice. Bonus requirement - Portability optional but welcome. Plays 4, relatively easy to learn mechanics but huge depth and room for creative thinking, no dice (though there is randomness in tile draws), a chance to make big plays... Tigris and Euphrates! Possibly too conflicty, and the theme is bone dry. But your big plays comment is what bright it to mind. Work a look anyway, since it's just an incredible game. Plays 4, but otherwise Alchemists may seriously fit the bill. What about Alchemists brings it to mind for you there? It’s a really good game. Plays 4, less than 2 hours once you’ve learned it, indirect conflict but you get to feel good about making deductions and beating others to actions and theories, unique theme with some humor to it, no significant RNG. Other than not playing 6 and not being portable it checks all the boxes, IMO. I've never had a 2p game of Alchemists take less than 2 hours personally (probably closer to 3). Can't imagine it being significantly faster with 4 lol. Granted we don't play it very often. It's definitely a cool game though. Your choice of upgrade for the medic is real good. That's all I'll say. As was your group's decision to not modify that specific building. That would only have ended in tragedy. Captain Sonar plays six and is apparently fun on stilts, similar to Space Cadets: Dice Duels, which is also fun on stilts. Alchemists is a wonderful game, but i think it's going to go over 2 hours the first few times it is played. I just got the expansion for Christmas and i'm excited to give it a shot. Golems! In other news, my copy of Bargain Quest arrived yesterday. Excited to give it a shot. Not enough opportunities to run a fantasy item shop, imo. My usual group is 5-6 and like to be able to get a good number of different games in usually, rather than just one long game, so I'm always looking for games like this. My top couple of more unusual choices that we play often are Ethnos and Council of Blackthorn. Ethnos - plays 6, lasts 45-60 minutes typically. It's area control through set collection with a press your luck mechanic, so you can gloat over opponents when you scoop a card you think or know they need or when adding a token to an area they were trying to gain control of but there isn't any direct conflict. There's definitely a rush to holding out for a big set and pulling it off when you know the end of the round will be triggered at any moment. Theme is generic fantasy and almost non-existent though. There is some luck of the draw involved at times, when none of the face-up cards will help and you need to draw from the deck, but that's the only randomness once the game starts (there is a lot of randomization in set-up, but that's a good thing that makes each game play differently than the last). Council of Blackthorn - also plays 6, lasts 60-90 minutes typically depending on how slow your players are with choosing a card to play on their turn. Politically themed game that was inspired by the small council in Game of Thrones. You play as various advisers to the king, vying to increase your level of influence and reign supreme at the end. There are 4 influence tracks that you are trying to move in, and the further you get in each the more points you score at the end. When 3 of 4 tracks have been completed by at least 1 player, the game ends. Each turn you play 1 card that may help you in one track, may have other bonus effects that will be worth it instead, may have a direct negative effect on an opponent, or some combination of two or all three. There is an additional mechanic by which players frequently end up picking up traitor cards with values from 0-3 on them. Some of the cards you play may let you get rid of some of those cards, or give them to other players. At the end of the game, the player with the most traitor points is summarily beheaded and ineligible to win the game. There's a fair amount of being moved back on a track or having a card stolen, as well as being given those traitor cards - as long as your players can laugh a bit and take it all in stride and just use it as ammo for future turns it's a fun game that marries theme and play well and allows for plenty of good-natured indirect conflict. Man I need to play ethnos, it looks so so good. I already have way too many area control games for how often I get them played though lol. Lords of Waterdeep with the expansion plays 6, I believe. Worker placement seems like it could fall under most of your categories as well. +1 for Captain Sonar, I played that at a convention last year and it was an absolute blast, even for people watching. What exactly do you mean when you say it's fun "on stilts," I'm not sure I've ever heard that turn of phrase? 7 Wonders maybe?  It has conflict with the folks to your left and right but not every player. What's better than a clown? A clown on stilts! What's better than fun? Fun on stilts!! If there's one way I'd definitely describe Captain Sonar, it's "easy to play while distracted"
My local store says they have a bunch of copies of Gloomhaven already there, but won't break street date of Friday. They expect it to sell out by the end of the day but are sold out of pre-orders. How great *is* Gloom haven? Should I make the trip and pick it up? Everything I've read says yes, but I'm only just organizing a board game group, and don't know how regular we'll be. Do you like dungeon crawls? It’s a specific genre. Generally yes but I've only experienced dungeon crawling in the context of a bigger RPG like D&D, and not as a standalone game. But I found the combat and dungeon exploration part of D&D to be the most enjoyable for me. It's a cooperative dungeon crawl that plays like a video game and has some legacy mechanics. It has 100-150 hours of gameplay inside of it spread over a dynamic campaign. You level up characters and get new loot that carries over between sessions, hell even the city itself levels up. There are achievements. It can be played solo. It has a little something for everyone and even though the box is huge and the setup can be long, I've heard the gameplay is surprisingly fun and intuitive. I've heard people compare it to "Dungeons and Dragons in a box", except nobody has to do the Dungeon Master prep work. Problem is, Friday I won't be anywhere near my local shop in the morning as I have a job interview at 9:30 a.m. So I'm trying to figure out if it's worth the effort of travelling downtown from the opposite end of the city close to noon on the hopes they still have a copy in store. From what I've read it sounds like it is. It's a very fun miniatures game. If the part of D&D you like is the getting into character and interpersonal part, then there's not really anything here for you. But the combat is a lot of fun. In the meantime, I'm giving Eldritch Horror a run tonight at my company's games night. Looking forward to giving this a spin. How recommended is Gloomhaven solo? It'd run fine solo, though you'd lose some of the tension of not knowing for sure where you've landed in the initiative order, the individual mission objectives and retirement goals, and so on. To be honest, I actually think Descent or Imperial Assault via the app is a better single-player experience than Gloomhaven would be. The combat puzzle of Gloomhaven is incredibly good. If you like Euro-style hand management card games (e.g., Concordia, Mage Knight), then you'll find the movement and combat system very satisfying. Each turn you play two cards; the initiative value on the cards determines when you'll go in the round with respect to the monsters and all the other players. When it's your turn, each of your cards can do one of 4 things: a basic "top" action (a melee attack of strength 2), a basic "bottom" action (move 2 spaces), the text on the top half of the card (which is often, but not always, some kind of powerful attack), or the text on the bottom half of the card (which is often, but not always, some kind of powerful movement or stat buff). You pick one of the three top actions and one of the three bottom actions, and perform them in any order. The selected cards then go to your discard, where they'll stay until you "rest", which returns your discard to your hand, at the cost of losing one of those discarded cards for the remainder of the scenario. Monsters are controlled by a relatively simple AI deck that nevertheless results in interesting (and often surprising!) combinations with your choices. One member of my game group (a group that mostly play strategy Euros: Concordia, Agricola, Food Chain Magnate, etc.) 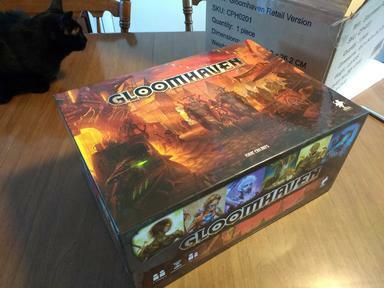 received a kickstarter copy of Gloomhaven a couple weeks ago. After one play, the other three people at that table immediately started researching how to acquire the game to play with their spouses, siblings, solo, etc. None of us tend toward dungeon crawls/RPGs, but the game works very well as a highly-themed Euro game with interested campaign/legacy mechanics added on. It really is a very well put-together game. My group is probably only 8-12 sessions from "finished," depending on how comprehensively we want to exhaust our options. We haven't unlocked everything (and won't), and it's my strong suspicion most people who play through won't either. The legacy-style components are relevant but in practice, they land a lot closer to the kind of things a traditional RPG (or Kingdom Death, having played both) would track on an inventory sheet or with an encounter table. The game is actually smaller than its own scope, in some ways, though it's difficult to expand on that without needing to spoil things or describe the progression mechanics in detail. The encounter design is probably the weakest point of the game; Childres and the guest authors for some of the scenarios try a lot of different things but they're limited by their action system and the inherent constraints of the hand-management system to most scenarios working out, practically, as "kill everything in these rooms," in one form or another, sometimes with an "and then do X" rider. One of the subsystems, where you and the monsters can generate and consume various elements, is almost deliberately counter-intuitive and difficult; some classes are remarkably dependent on it, and others can opt out entirely. The ones that can opt out tend to be a lot more reliable, though the classes that tend to care about only one element (such as the Cragheart, out of the starting set) aren't all that troublesome to play either. It's a pretty good game! I've definitely gotten my first-printing money's worth in terms of fun and ideas, and don't want to discourage anyone, but I suspect that in a few years we'll be talking about Gloomhaven 2 or something similar that's taken this game's flaws and strengths to heart and really gotten everything humming systems-wise. If you're looking at picking it up but you've already got something equally-weighty in the queue, they're going to compete (Gloomhaven caused me to abandon Kingdom Death, in fact! ), and some people are really better off just playing D&D or something else, especially if you value a strong story. I have found it pretty fun solo. I'm not sure it's better than just playing like DOS 2 but the combat mechanics are fresh and interesting. One thing I think is important is knowing if Gloomhaven is a thing you can actually play. I go to a game night at a store and we have never finished any legacy game. I finished Pandemic Season 1 solo. I brought Gloomhaven a couple times but it is too much setup for playing at a store. You pretty much need somewhere to set it up and keep it set up and have a consistent group come there to play it. Having played Gloomhaven and Descent solo a lot, Descent is much easier on the brain. But it doesn't really touch the depth of the over arching story of gloomhaven. I love both, and both are fun solo. But if you want something truly epic, Gloomhaven is the way to go. Speaking of Gloomhaven, I got a call from my FLGS today. Apparently they did break ship date. I've never seen a board game where the shipping cartons only hold one copy of the game before. Note the stamp: Carton # _____ / 47000. So it looks like there were 47,000 copies printed (but I think that's for the Kickstarter and retail copies). Uncartoned (along with bonus cat, not included in most copies). Yeah, it's a big one. One of my guys keeps wanting me to pack it all up and drive it the half-hour to his place, and I'm just not doing it. I really dislike Gloomhaven's story, such as it is, because I don't think it really commits to or has anything to say related to the morally-gray Dark Fantasy set dressing it comes wrapped in. That's simultaneously my biggest problem with it and the one I'd be happiest to ignore if I was someone else looking at what I had to say about the game, as tastes vary. It is so crazy to me that 47,000 copies is not going to be enough to meet demand on a relatively new board game. That's what happens when your limited supply game rockets up to #1 on the BGG list and then becomes available again I guess. Goodness, that thing weighs as much as Kingdom Death! There's a ton of cardboard in the box. I expect to be punching chits out until February. A 6 player game that I like is Karesansui. It's a 'reverse auction' game, where you are initiates at a monastery trying to maintain rock gardens, and exchanging groups of rocks to make certain combinations. It's a fairly neat mechanic, the game is pretty quick (usually about an hour), and fits most of these other requirements. Not necessarily a lot of high level strategy though.